1. 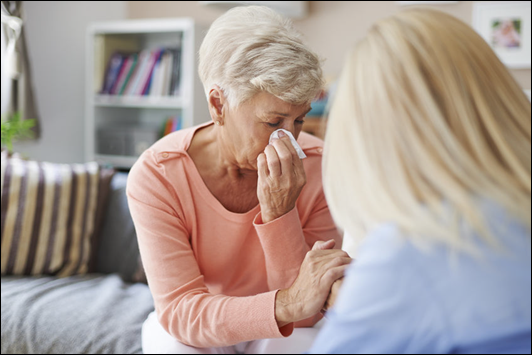 Screen patients and family members for anticipatory grief and determine needed interventions. 2. Compare healthy vs. complicated grief. 3. Identify risk factors for complicated grief and bereavement. 4. Provide evidence-based screening and intervention to surviving family members for complicated grief and depression. 5. Identify resources available to assist bereaved children.